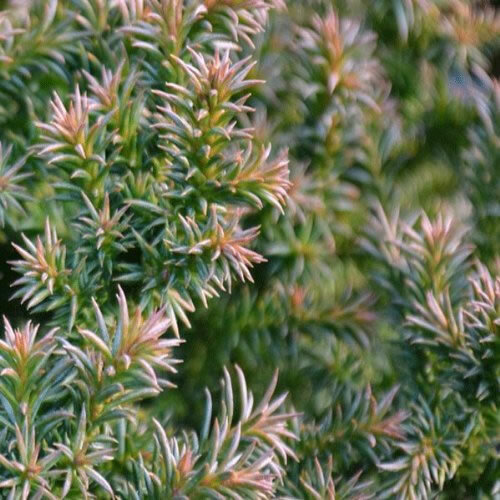 Japanese Cedar. A dwarf coniferous bush forming a dense globe with bright green leaves, turning reddish purple in winter. Height 1m. Spread 1m. Evergreen. Foliage colour Green. Hardy. Sheltered Site.